Sign-up and receive Property Email Alerts of Residential New Developments in Apo, Apo. 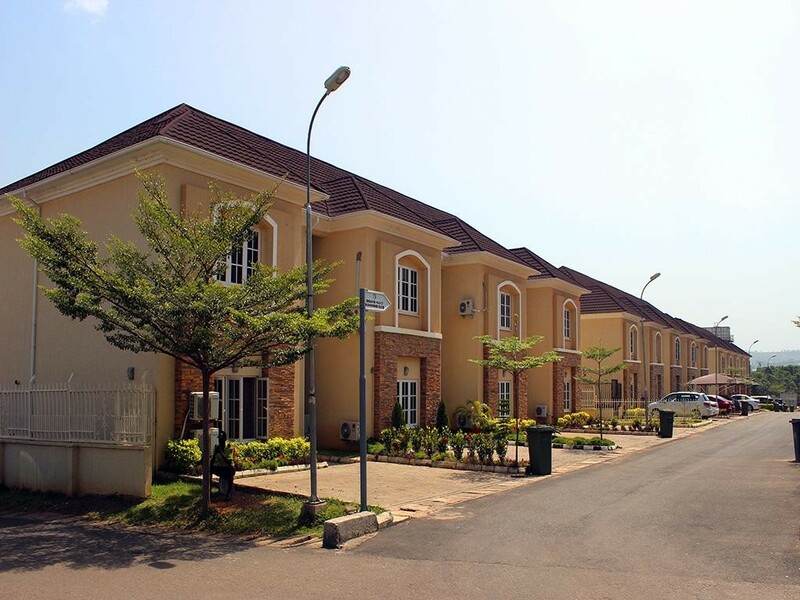 Amina Court Estate, Phase is located on 8.3 Hectares of land at Apo-Dutse District within the Abuja City. It is in an Estate carefully designed and beautifully finished to the highest standard with glorious paint finishes, elegant outlook and function facilities. Excellent landscaping, spacious road network, constant water supply and sufficient electricity supply with standby heavy-duty generators. The estate is managed by trusted and capably facility Management Company to ensure maximum functionality and comfort. It comprises of different types of houses ranging from 5 Bedroom Detached Duplex, 4 Bedroom Semi-Detached Duplex, 3 Bedroom Terrace Duplex and 3 Bedroom Apartment. As a result of the success recorded in developing and selling of the Phase I of this estate coupled with frequent enquires from interested new buyers who were not opportune to subscribe during the last development, we came up with a new improved design of two types of houses to be developed for sale within the estate. The new extension of the Amina Court Estate has 39 houses comprising of 10 units of 4 Bedroom Semi-Detached Duplex with 1BQ and 29 units of 3 Bedroom Terrace Houses with 1BQ. In this new development on the quality of our finishing with a touch of luxury and fashionably style. The two types of houses are designed with cracked tiles and stone coated roof to give the buildings distinct and unique features of modern finishing. Our customers' input in collaboration with our technical expertise were adopted and transformed into the new outlook of these houses with the aim of giving our customers' satisfaction they can't get elsewhere. Our priority is customers' satisfaction. We are therefore determined to give them the best value for their money while timely delivery of the project is also considered very important and will be strictly adhered to.